In the other news – today is our 14th anniversary! … About a week later we’ve moved to US! 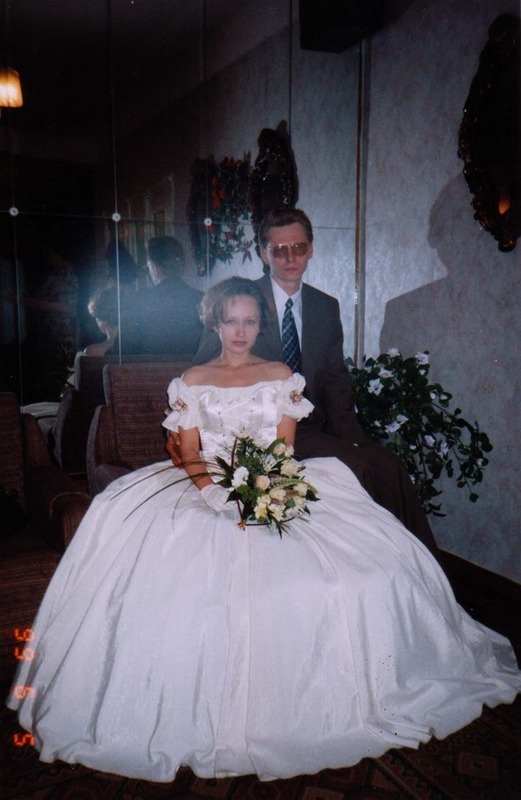 … And some months later we’ve met Annya, Alex, Sergey, Svetlana, Oleg – our very first “foreign”, such lovely and fantastic friends for all these 14 years! P.S. 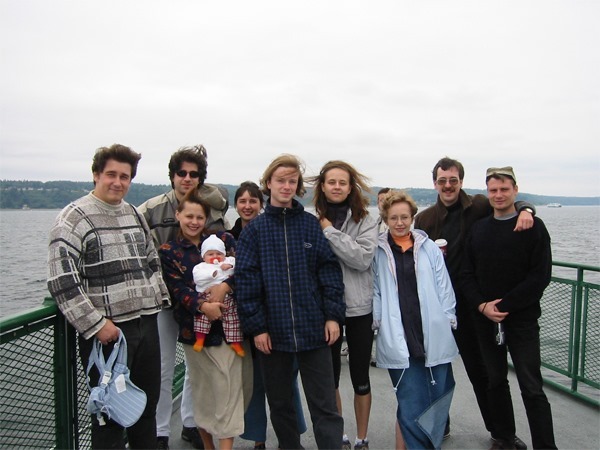 : I’ve tried to find any digital group photos dated 1999; but found just this one of our first ones, taken with our very first digital camera in 2001… with even more friends and about in a month our daughter was born… such memories!! Oh well just say yes to Kristin, and happy anniversary for you and your husband!! Какие хорошенькие все, особенно Аллочка в свадебном платье, просто прелестна!!! Любви счастья вашей замечательной семье!! !